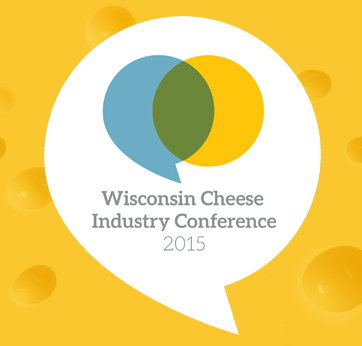 “Cheese” will be the word on the streets of Madison, Wisconsin this April during the 2015 Wisconsin Cheese Industry Conference. More than 1,700 cheese industry leaders, suppliers and marketers will be meeting at the Alliant Energy Center on April 22 and 23 – and we will be there! “The Cheese Show,” as many of us refer to it as, is the perfect place for those in the cheese industry to learn more about the latest in technology, discuss industry issues and network with others in the dairy world. Right in the center of the expo floor is the Ideas Showcase, where attendees can check out free, short presentations on innovations in dairy plant quality assurance, dairy plant automation, cheese equipment & processing, and whey equipment & processing. Nelson-Jameson will be featuring “Dry Cleaning in Dairy Plants” with Scott Boersma, Business Development Manager from Nilfisk Industrial Vacuums on Wednesday, April 22 at 1:30-1:50. Also, be sure to visit our booth to receive your FREE access pass to our exclusive hospitality event on April 22 – it is sure to be an entertaining evening! Nelson-Jameson will be at Booth #906. For more information on the Wisconsin Cheese Industry Conference, visit the Wisconsin Cheese Makers Association website here. Register now, before, March 2, and save 10% on the registration fee. We look forward to seeing you at the show! Correctly sizing your brush is critical for optimal cleaning. When selecting the diameter of the brush used to clean the interior of tubing, pipes, drains, valves, etc. keep these tips in mind. The key to efficiency is maximum tip contact to the surface – the tips of the brush are what provide proper cleaning. Select a brush with an outside diameter exactly the inside diameter of the pipe. A larger diameter brush will bend when entering the pipe providing less effective cleaning as the bristle tips will not contact the surface. This will cause extra wear and tear on your brush, and may result in the brush getting stuck in the pipe. 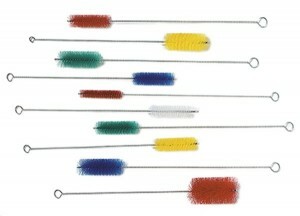 A smaller diameter brush with require additional passes in order to clean and may result in missed areas. The handle of your brush should reach the entire length of your pipe or tubing for quick and effective cleaning. If you need help in finding the correct brush for your application, please do not hesitate to contact us at 800-826-8302 or see our collection of brushes online here. For those of you in states buried under several feet of snow, navigating slippery roads, or simply trying to remember what the sun looks like, it may be hard to fathom, but warm weather is around the corner! 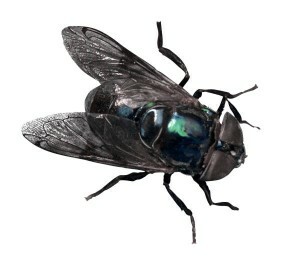 Along with picnics, baseball, vacations, and relief from seasonal affective disorder, spring and summer come along with some uninvited guests: a myriad of pests. In all fairness, cockroaches, flies, rodents, etc. are threats to food safety operations all year but with warmer weather food operations often see additional challenges when it comes to managing pests. Also, consulting with your local inspectors, government resources, and academic extension programs can help you get ready to put your pest control plan/ program to the test. To assist you in developing, implementing, and maintaining you program, Nelson-Jameson has created a Pest Control flyer, highlighting some of our key product offerings. To talk with one of our product specialists about your pest control needs, give us a call at 800-826-8302 or view our website for more information. We’re here to help in all seasons! Aerobic bacteria (bacteria that require oxygen to live and thrive), like you and I, appreciate a chance to take a breath and reflect on plans for the future. Single-cell life isn’t so easy, after all! 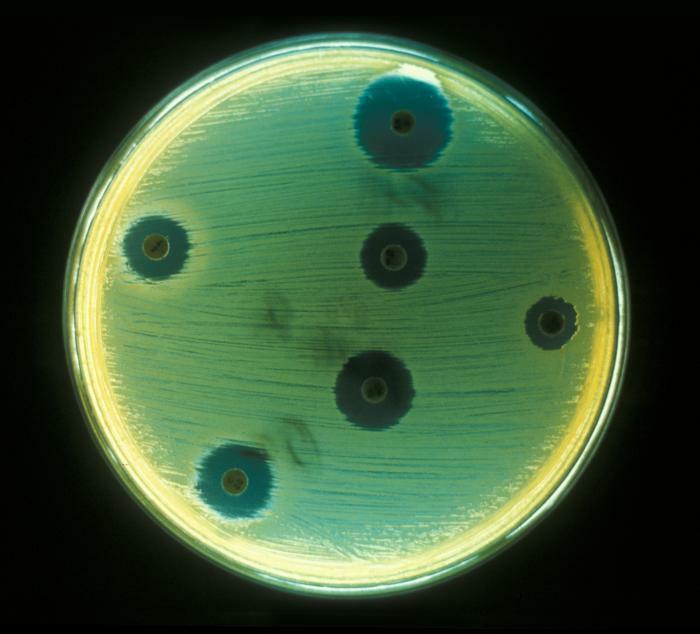 Aerobic bacteria may wonder,” what will happen when I grow up/divide?” and, “Should I go into spoilage or perhaps foodborne illness?” Whatever the case, they sure are busy! Their oxygen-loving (to merely tolerating) ways make them a desirable key target in the fight against contamination and product spoilage. Opposed to isolating and identifying specific aerobic bacteria, Aerobic Plate Count (APC) tests are utilized as general indicators of the presence of aerobic bacteria. Counting these aerobic colonies, as R. Dale Morton explains in the Compendium of Methods for the Microbiological Examination of Foods 4th Ed., “can be used successfully to gauge sanitary quality, organoleptic acceptability, adherence to good manufacturing practices and, to a lesser extent as an indicator of safety” (63). To learn more about aerobic bacteria click here. For more information on APC products, including the new 3M Petrifilm Rapid Aerobic Count Plates email Jessica Goessl, Technical Sales Manager – Laboratory or call 800-826-8302.